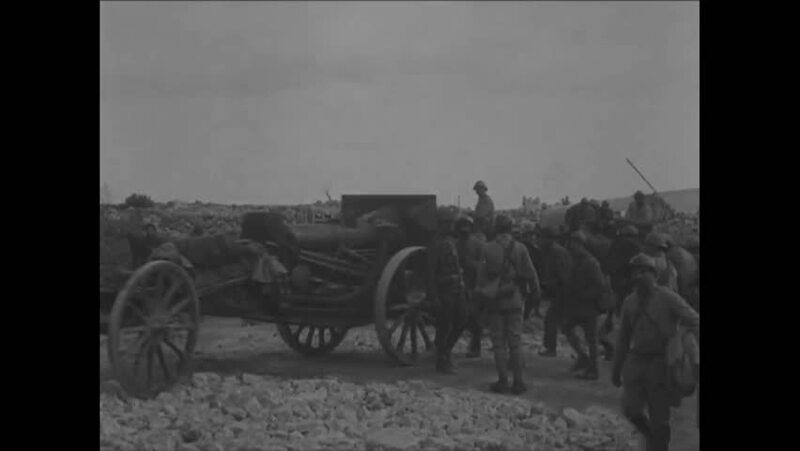 CIRCA 1918 - Men of the French Army Engineering corps work on rebuilding roads. hd01:05CIRCA 1950s - Depiction of the difficulties of building the above-ground pipeline in 1948 Saudi Arabia. hd01:09CIRCA 1918 - French soldiers move pontoons towards the Meuse. hd00:11EGYPT 1970s – Fallen rocks from an Egyptian pyramid lay on the ground. hd01:52CIRCA 1944 - Guns are installed in Nazi coastal batteries in France. hd00:38ISRAEL - CIRCA 2009: Israeli soldiers arrive for duty in a border region circa 2009 in Israel. sd00:32CIRCA 1920s - A Handley Page Type O aircraft is rolled out of hangar and onto an airfield, in 1923.